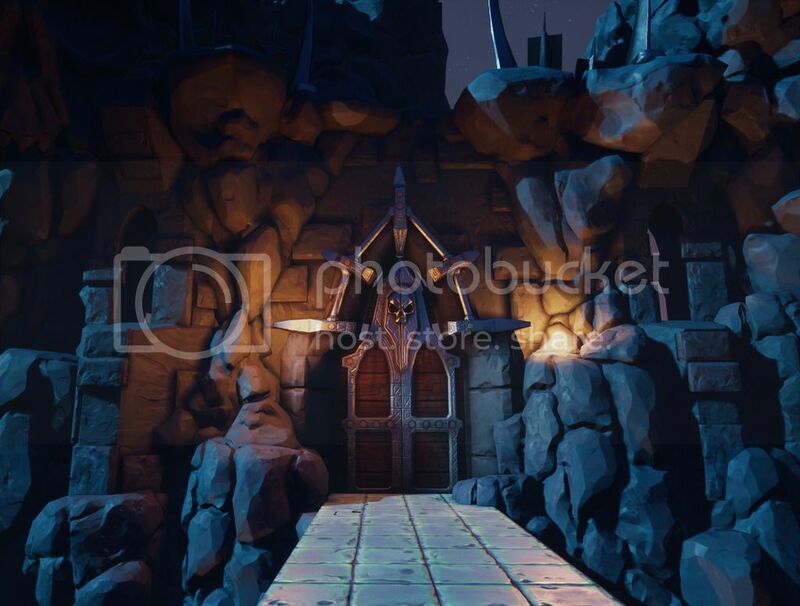 I'm working on a dungeon / evil lair environment (ex - and interior), and thought it would be nice to share my progress here! Planning on releasing the assets as a pack in the future. I'm making the environment inside UE4 but will be exporting some smaller bits and pieces to be shared on Sketchfab. This is the first one, trying to recreate the lighting and mood I had in Unreal (working pretty well, but Sketchfab is not a full on game engine so naturally it will look different, but does a suprisingly good job). Feedback and everything is very welcome! All models and textures made by me. Will use this blog to post my progress, both for myself to look back at and hopefully for some of you to enjoy! Also hope to gather some usefull feedback Hope to post here once a week (though I'm away for a week next week, so after that) so if you are interested make sure to follow this! Very nice, did you sculpt the rocks in maya or how did you get them to look that way? 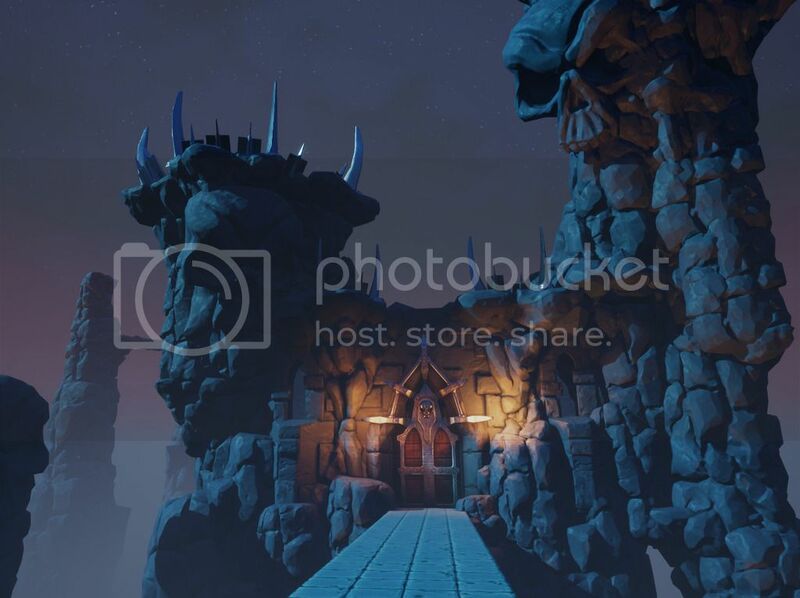 to get the same look you could bake the lightning but it does look pretty nice in sketchfab regardless. Hi man! Yeah sculpted in Zbrush, normals baked onto a low poly version of therocks, overlaid with a tiling detail normal / roughness / albedo. Had the material set up this way in Unreal but recreated it by just making a tiling image and using it as the texture here in Sketchfab. But great style, pretty sure if you got a few packs someone could make an interesting game out of it. Did use Substance Designer in my workflow but not in a fully procedural way. Zbrushed a rock texture on a plane which Is baked, exported the heightmap which Is imported into designer where I made a useful PBR tilable texture out of it which I then multiplied on top of the main texture in Unreal for more detail. Went with Zbrush because it is easiest way to get the look I wanted.